In this thread you can make english only posts or bilingual(arab+english) posts! Arab only posts will be deleted! هذا الموضوع مخصص للسيرفر التي تم ذكره بالعنون, أي أمور تتعلق بهذا السيرفر ستكون في هذا الموضوع. سنقوم بحذف اي موضوع آخر عن هذا السيرفر وذلك لضمان جوده أفضل. لضمان جوده أفضل, يرجى منكم وضع صورة للخطأ. إذا كان السيرفر الذي تقوم باللعب فيه تم تحديث حمايته والبوب لايعمل فيه مجدداً, كل ماعليك هو وضع مشاركه في هذا الموضوع تفيدنا بذلك. Post was edited 2 times, last by “iWasuPower” ( Jul 9th 2016, 10:57pm ). My friend, READ THE DESCRIPTION. I HAVE NOT WRITTEN IT JUST TO SCROLL DOWN AND POST WHAT YOU WANT. Post was edited 1 time, last by “Vladimir” ( Mar 16th 2016, 12:54pm ). Post was edited 1 time, last by “Vladimir” ( Mar 16th 2016, 12:55pm ). Post was edited 2 times, last by “Vladimir” ( Mar 16th 2016, 12:55pm ). Post was edited 1 time, last by “Vladimir” ( Mar 17th 2016, 2:50pm ). Also, you get a warning for triple posting. Post was edited 2 times, last by “Vladimir” ( Mar 17th 2016, 2:51pm ). Post was edited 1 time, last by “Vladimir” ( Mar 17th 2016, 6:26pm ). So, we have 5 users. These accounts will be rechecked, to be sure that different users have them. After that, this server will be put on the "to-do list". Till an update for this server, TOPIC CLOSED. -System specifications(Windows version, 32/64 Bit): Windows 8.1 , 64 Bit. 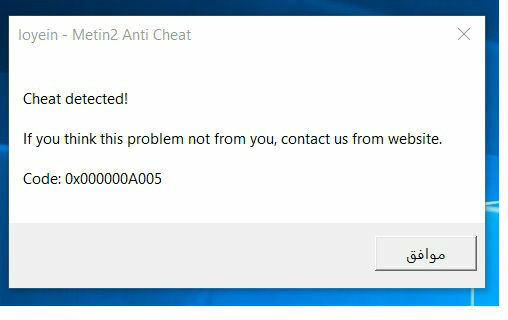 -Exact problem description(including screen of the error message if possible): When I inject M2Bob to the server's metin2client or to the server's patcher, an error pops up says I have to make sure that I injected the correct metin2client. -Information, if it worked some time ago, and what has been tried in the meantime, that can cause the error: it didn't even work before, I guess there's a way to run it, because there are some players in the server are using M2Bob, but I don't know how to. -If P-Server: Did your server release an client update after it worked without problems(please inform!)? : it didn't release any client update, it's v1.0 already. 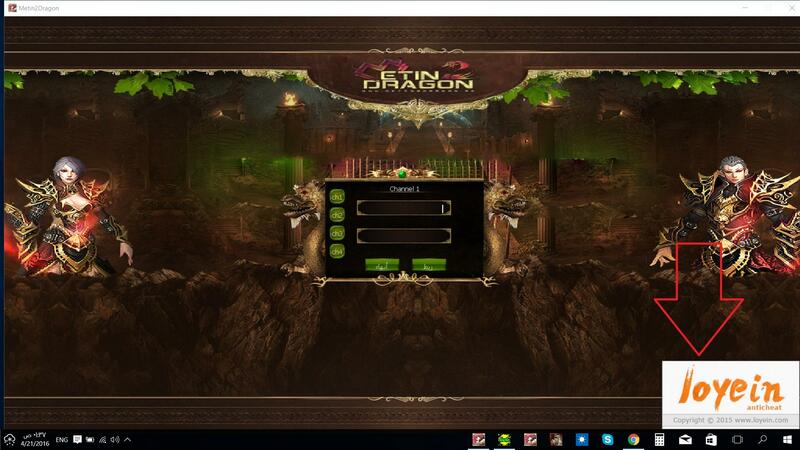 Make sure you select the option play on p server when u select the file that needs to be opened for the client and select the right one.Some servers have metin2client.bin,but it's not the case for all of them. Open the client without bob and go to task manager.See the name of the metin2 process and select that file when u try to use m2bob. If this doesn't work,maybe the problem is with your antivirus/firewall,try to deactivate them while using bob. Hello, I have a problem where I can not open the game by using Bob Hack Because of the protection server the game was working with Bob Hack But the management has updated the game and added protection. How about the day ? Do you wait two weeks as last time ?